(At the start of our trip, my children were ages 2, 4, 8 and 11). How do you finance this trip? Savings, odd jobs as you go? We financed the trip mainly with money we received from selling our house. We traded in our old Winnebago for a new travel trailer. We did not do any work along the way, although we met some people living on the road who did “work camping,” (working at the campground they were living at for a while), or others who have the kinds of jobs that allow them to work from their computers and mobile devices wherever they are. How did you plan your itinerary? Did you plan it out completely from the beginning, or day to day, month to month, etc? First, we were headed up to Maine, because we had spent some time there before, and we liked it, and decided to go back and see if we could buy some land there. That didn’t pan out, so we headed back to NJ for a visit with our family (we camped in my Mom’s backyard for about 10 days), then headed back out. We had a general idea that we were headed out to California, and we planned on stopping in Kansas for while to visit some friends, and then on to Colorado, where we have some land that we had purchased years ago that we had never seen. Beyond that, we just kind of stopped at places we thought looked interesting, affordable, safe. One thing occurred which really changed the nature and length of our trip quite a bit was when we got to California, we spent some time at a Thousand Trails campground in Menefee. Thousand Trails is a sort of camping “club” you join and you then have access to a couple of hundred campgrounds across the country. These are generally “family oriented” places, and a lot of seniors on the road use them too, and they have certain amenities that you know you’re going to get. They are private campgrounds, so you can’t get in unless you’re a member, or the guest of a member, or, as in our case, you’re invited to attend one of their sales presentations and have a free stay. After having our free stay, we decided to become members, and, for us, it was the right decision. Suddenly, we had access to many more campgrounds that we could feel safe at for our children, we met other families on the road, and it made living on the road that much easier. We still use it for our shorter camping trips. Were the children concerned about leaving their friends? The hardest thing for our children was leaving their friend next door, and our family that was still living in NJ. Their Grammy, aunts, uncles, and cousins were all still there – and some of them were living right across the street from us, so that was the worst part for them. But the move itself for us was inevitable. The trip we took I think helped our children adjust to the fact that we were not going to be living there anymore. What advice would you give to a family considering this same adventure as you and your family have? Well, obviously, you have to be able to do it financially. Whatever that means for you. In our case, we had to get rid of some things before we were able to make a trip like this, but that might not be the case for everyone. It helps to be willing to think outside the box in terms of how you can support yourself while on the road. One of the things I was completely surprised by was how many people are actually living on the road, and how there’s this whole sub-culture. One of the best things to do if you’re considering it is talk to people who are on the road now. 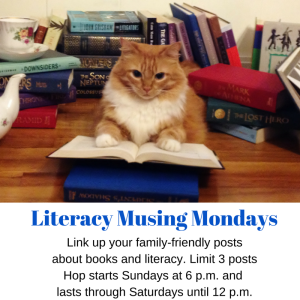 There are currently two groups that are great sources of information: FOTR (Families on the Road), ​which also has a Yahoo Group; and FullTime Families. They offer all kinds of tips for people who are currently doing this and for those who are considering it. See how these families are doing things and how you can adapt it to your own family and set of circumstances. Another thing I would recommend is having a travel log of some kind you can share with people online. This is one of the best things we did. Ours was set to private, so that only our family and friends could see it. It allowed them to keep track of where we were (we even had a map that showed what city we were in), and it got my children writing when they would post about things they saw, etc. Everyone really liked being able to read about where we were, and see pictures of us in various places. It was a lot of fun. The one we used was mytripjournal, but there are others. And get AAA plus RV and Good Sam. My family and I did something similar when I was seven. We traveled the country for a month and camped in our pop-up camper. I have some incredible memories from that trip! One of the scariest was when our camper and car were broken into in St. Louis. Did you have anything like that happen? Wow, that would definitely have been scary, but no, we never had anything like that happen on our trip. We never had a break-in, but we did have some breakdowns (with the camper, not emotionally! ), but those, too, were surprisingly few. One occurred early in our trip, when our fuel pump blew. It was Halloween night, we were in Cambridge City, Indiana, and we pulled into this big truck stop called “Crazy D’s”. Turned out, it was also a garage, and the mechanics there were really helpful and friendly, and they were able to fix our fuel pump and get us underway by the next morning. They even hooked us up with electric for the evening so we were quite comfortable. So here we were in a place called Crazy D’s on Halloween night, and in the window of the garage there’s this sign that says: “5 o’clock resurrection: people who do not believe that the dead come to life should be here at quitting time.” This of course started everyone’s imaginations going wild, and we ended up writing a spooky story about the “Legend of Crazy D,” and posted it on our Travel Log. Our family back home loved it. It was a lot of fun. One of our most frustrating moments was when we camped at a campground that, according to the brochure, had beautiful meadows and a well-stocked store. The "meadows" turned out to be a gravel parking lot with one or two trees and the store was well-stocked only if you consider hot dogs and ice cream a balanced diet! Did you have any similar experience? Yeah, we hit some of these types of places early in our trip, but luckily they were just over-night stays. We pulled into this one place with a sign that said “Rainbow’s End” somewhere in the Adirondacks in NY. Definitely no pot o’ gold here. It was raining, and we turned onto a precarious-looking driveway going up a steep incline, with abandoned, dilapidated shacks and rusty machinery lining both sides of the road. A little boy who looked maybe 8 or 9 and a tiny litte girl emerged from somewhere, said “Can I help you guys?” and proceeded to tell us where we could hook up for the night. The little girl went into the office and came back with her grandmother who was apparently running the place. When we hooked up, the little boy, who my son said was named Zachary, was standing at the top of a hill just beyond our campsite. Zachary told my husband, "If you stand at the top of this hill and whistle, the horses will come. Just don't touch the electric fence." Later, when my kids were playing on the rather strange assortment of playground implements right in front of our campsite, Zachary came back with a toy rifle he said he got from the five-and-dime up the road. He said he was looking out for bears because one ripped their door off before they got a real one. That was pretty strange, which again is why being part of Thousand Trails really changed the trip. We always knew the level of service we were going to get: there’s always a store with basic groceries, there’s a lodge for adults, and another family lodge where there are games, books, Internet access. There’s always at least one pool, there’s a laundry – everything you need to feel comfortable. And they are usually in locations where there are some interesting sites and things to see. Of course, these days, it seems you’re never very far from a Walmart. What were the most memorable moments of the trip? I know, for my kids, that they would say going to some of the big “hot-spots” like Disney World or Los Angeles, where we went to Universal Studios and Hollywood’s Chinese Theater where we walked on the “stars”, but for me, the differing landscapes in our country, the Pacific coast and the desert Southwest, the Grand Canyon, the giant redwoods, the Sand Dunes in Colorado, was awesome to me. And meeting some really nice people along the way. Being away from our family during the holidays. Laundry, believe it or not. We had access to facilities on-site, but the worst part was actually storing the dirty laundry. In a trailer, every space is precious, and I hated having those bags of dirty laundry around. Other tough things were sometimes feeling closed in when the weather wasn’t good. That’s when those lodges became very important. It was like having our own extra living room to spread out, do our school work or just relax and watch TV. What did your typical school day look like? I’ve always been the kind of homeschooler who follows a schedule to some degree. So that part was the same as being at home. But there were also more opportunities to do our lessons outside, at a lodge, or wherever we happened to be, and learn from the places and things that were around us, and incorporate that into our days. There were a lot of parks and museums and science centers and historical sites that we could, of course, make part of our homeschooling. My children, especially my son, who was five at the time, really enjoyed seeing the map of the U.S. we had hanging in our “living room” fill up with all the states we’d traveled in. I also found that, because we had much less TV, (our trailer did not have satellite or anything, so it only picked up local stations, and sometimes, not even those) we had more time for reading books out loud, playing board games, and just talking about things and spending time with each other. The pace of our lives was a lot less hectic than it had been. With such little space, I'm sure there were moments when each person felt he or she just needed some space! How did you handle the need for private time among each of your family members? When we were looking for our trailer, we knew that it would be important for each of us to have our “space”. Each of our children had their own little bunk areas where they could have some of their own stuff. Once we were in the Thousand Trails system, we felt it was safe enough to allow the kids a little more freedom to go out in the campground and explore on their own, and ride their bikes, which they really enjoyed. If my husband or I needed to conduct some business on the phone or computer, we could go over to the adult lodge where it was quiet. What were the biggest lessons you learned on the trip? Not to get too entangled or comfortable where we are at that we couldn’t just pull up and do a trip like this again. We are hoping to take another trip when our youngest two are a little older so that they can get more out of it. One thing is I would not take so many books! We had storage hatches underneath the trailer, but there’s only so much space, and weight is also a big issue, especially when you’re pulling this heavy trailer over the mountains. (Ever see the Long Trailer with Lucille Ball?). Overloading the trailer can put additional stress on the tires. 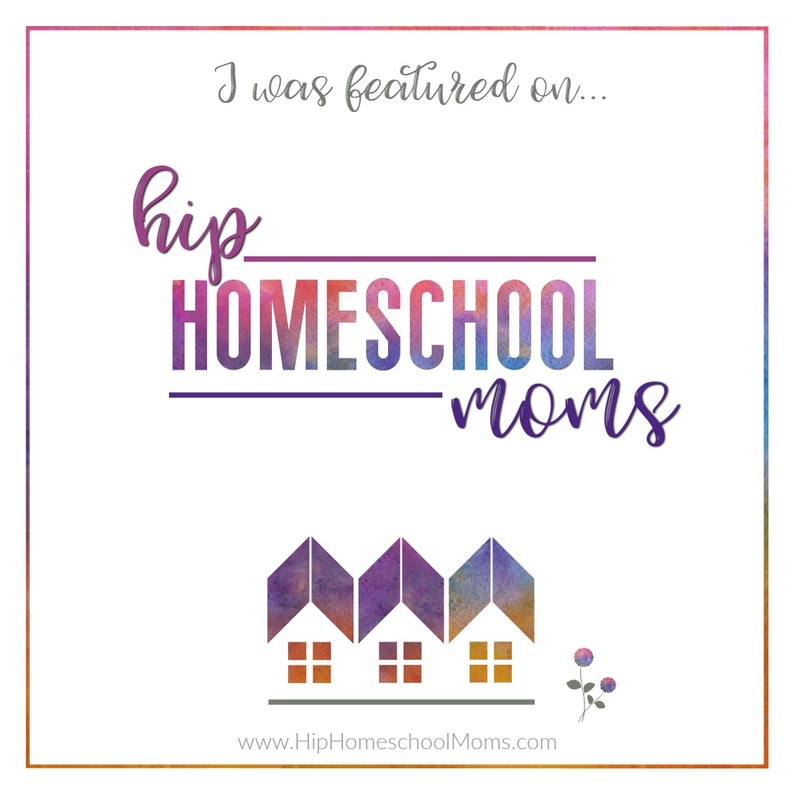 That year for homeschooling, I was doing Sonlight with my oldest daughter – and you know how many books that can involve! (What was I thinking?) Well, actually, what I was thinking was that I would not have access to books on the road, so I’d need to bring everything with me. The technology has changed so much in just a couple of years, though. Now, I would just use Kindle and sites online for certain things. That wouldn’t have solved everything, but it would have saved some space. And we probably should have looked into the campground membership thing right from the beginning, and that would have saved us some stops in some not so nice places.